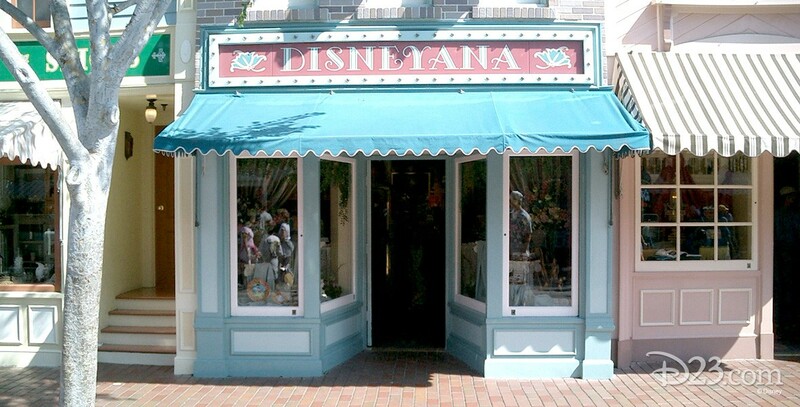 Disneyana Shop Opened on January 9, 1976, on Main Street at Disneyland; moved across the street to former jewelry shop location on May 30, 1986. For the first few years, the shop sold old Disneyana merchandise, but it became too difficult to find this rare material to stock the shop, and it was feared that the extensive Disney purchases were creating their own artificial market prices for the material. Eventually, the shop turned instead to limited editions and current collectible merchandise. It closed on April 14, 2013, to move and replace the Disney Gallery in the former Bank of Main Street building. A Disneyana Shop also opened on April 15, 1983, in Fantasyland at Walt Disney World, later moving to Main Street, and closing on October 1, 1996. Also in Disneyland Paris; opened on April 12, 1992.